What is the Hottest Place in the Solar System? The hottest place in the Solar System is the Sun, obviously. And the hottest part of the Sun is its core. The surface of the Sun is a mere 5,800 Kelvin, while the center of the Sun is around 15 million Kelvin. That’s hot. Although the surface of the Sun is relatively cool, the corona can get much hotter. This is the region just above the surface of the Sun, where flares and coronal mass ejections come from. Temperatures in this region can get upwards of 2 million Kelvin. Okay, outside of the Sun, the hottest place in the Solar System is the core of Jupiter. Once again, while the cloud tops of Jupiter are more than 100 degrees below zero, the core of the planet could be up to 30,000 Kelvin. This high temperature comes from the intense pressure that comes from the entire mass of the planet bearing down on the core and compressing it. What’s the hottest surface in the Solar System? That would have to be the surface of Venus, which is always an average temperature of 461 Â°C. In fact, Venus is even hotter than the planet Mercury when it’s in the Sun. Noontime temperatures on the surface of Mercury only get up to 426 Â°C. Here’s an article from Universe Today about the hottest place on Earth, and more about the Sun. 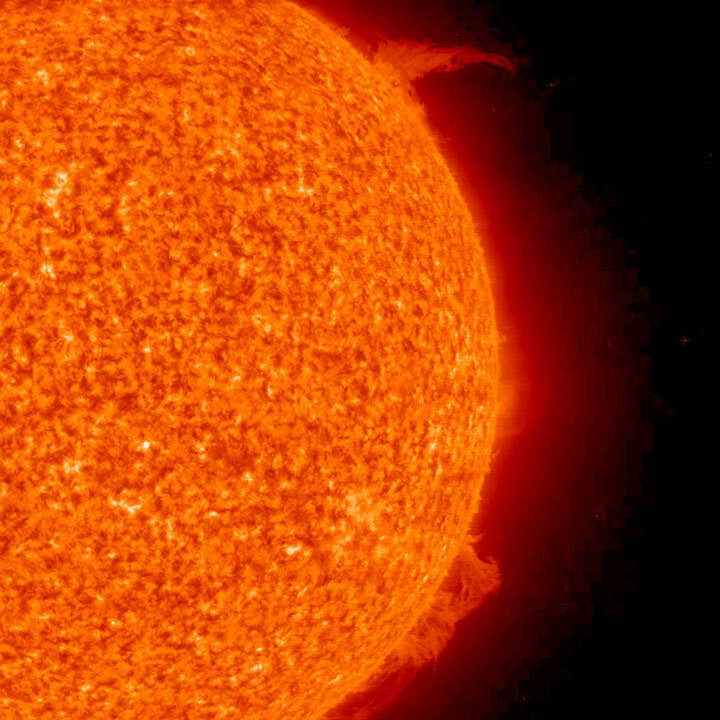 Here’s more information about the Sun, and just how hot Venus is. You’re off by about a factor of 20X. The hottest temperatures in our solar system (yes, even hotter than the Sun) occur in Jupiter’s magnetosphere. This is kind of like a big hallo that the magnetic field makes around a planet. The temperatures here can be a high as 300-400 million K. The center of the Sun (remember this is the hottest part) is only 15 million K. Not only is Jupiter’s magnetosphere the hottest thing in our solar system, it’s the biggest too! It goes out past Saturn and you’d even be able to fit the Sun inside of it.